Lancaster Services on the northbound M6 has been closed and its forecourt evacuated after a chemical spillage. The spill, which happened at 12.24pm, has been described as "significant" by police, who are being supported at the scene by the emergency services. Lancaster Services (formerly Forton Services) has been closed after a chemical spillage from a lorry container. The cause of the spill has not yet been confirmed but it is understood to have originated in a container being transported by a lorry. The chemical involved in the spillage is in a liquid form but police have not disclosed whether the substance is considered toxic or not. North West Ambulance Service said it had despatched an operational commander to the scene to assist police and fire services. But a spokesman confirmed that no injuries have been reported at the scene. The immediate vicinity of the spillage has been evacuated and vehicles are being prevented from entering the service station car park and using the facilities. Lancaster Services, formerly Forton Services, has been closed as a precaution, affecting traffic travelling between on the M6 northbound between junctions 32 (Preston, A6) and 33 (Lancaster, A6). The motorway network remains open but the services are expected to be closed until later this afternoon. 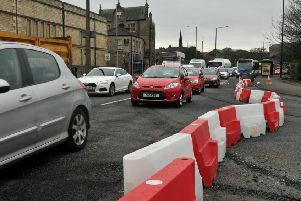 Highways England are advising motorists to plan northbound driving breaks before or after Lancaster. According to Lancashire Fire and Rescue Service, the driver of a lorry parked up at the service station and alerted emergency services to a liquid chemical leak from a container on his vehicle. A spokesman for the fire service said: "Firefighters from Garstang, Bispham and South Shore have attended and a cordon set up around the vehicle, with the Northbound services closed temporarily until the incident has been dealt with.